Aadhaar was supposed to make life convenient. Its architects and backers, however, had some other plans. You just don’t have to enrol for it and use it as it suits. As asked in several government’s dictatorial sermons, a person has no choice but to link the mobile number, bank account, LPG database, ration card or PAN number (and so on) with Aadhaar. If she doesn’t, she is on her own, even if it cost her life. As the December 31 deadline to link Aadhaar with a clutch of services and subsidies nears, media has reported starvation deaths from Jharkhand and Karnataka due to the discontinuation of ration supply owing to the non-linkage of Aadhaar with ration cards. Newspapers have reported death of eleven-year-old Santoshi Kumari in Simdega district. Apparently, Santoshi was asking for rice on September 28 (the day she died), eight months after her family stopped getting ration from the fair price shop as their ration card was not linked with Aadhaar. According to a New Indian Express report dated July 16, three brothers of a dalit family died of starvation in Gokarna district of Karnataka because their local PDS shop refused to give them grain for not linking their ration card to Aadhaar. In the meantime a new petition was filed in the supreme court on October 30 by advocate Raghav Tankha challenging governments order mandating Aadhaar linkage with mobile numbers. The two-judge bench issued notice to the government, seeking its response in four weeks. 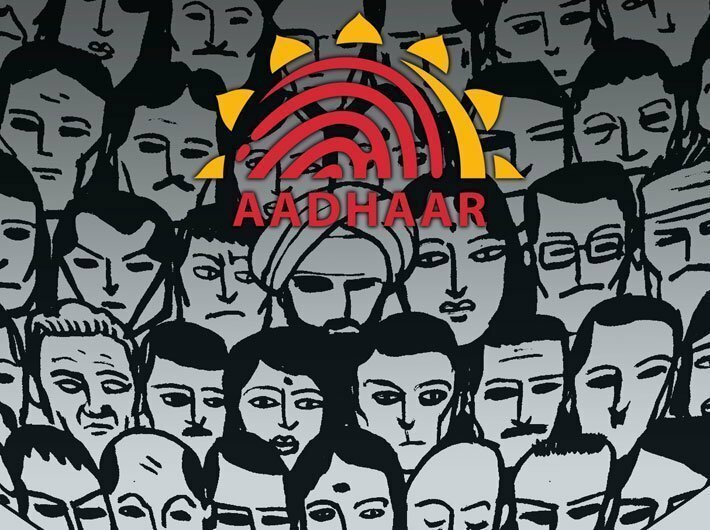 Following the two-judge bench direction, attorney general KK Venugopal swiftly reached out to a chief justice headed bench requesting to set up a constitutional bench to decide once and for all cases related to Aadhaar in place of giving an interim ruling. The bench headed by chief justice Deepak Mishra, also comprising justices AM Khanwilkar and DY Chandrachud, said that the five-judge bench will take up the matter by the end of November. It is important to note here that a nine-judge constitutional bench had ruled on August 24 that privacy is a fundamental right. As the five-judge bench hears cases challenging the validity of Aadhaar, let's not lose hope. Let's wait and watch.